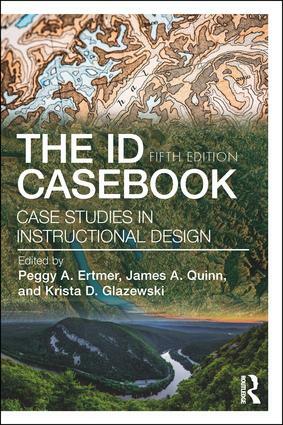 The fifth edition of The ID CaseBook provides instructional design students with 26 realistic, open-ended case studies that encourage adept problem-solving across a variety of client types and through all stages of the process. After an introduction to the technique of case-based reasoning, the book offers three sections dedicated to K-12, post-secondary, and corporate clients, respectively, each composed of varied, detailed cases created by instructional design experts. The cases and their accompanying discussion questions encourage students to analyze the available information, develop action plans, and consider alternative possibilities in resolving problems. The esteemed editor team of Peggy A. Ertmer, James A. Quinn, and Krista D. Glazewski continue their considerable contribution to the teaching of instructional design with this thoroughly revised and updated volume. "The ID CaseBook allows students to experience diverse and complex real-world case studies that reflect the problem-solving and multidisciplinary nature of instructional design. Whether you are teaching introductory or advanced-level ID courses, novices or experienced practitioners, chief learning officers or learning leaders, The ID CaseBook has a case for every audience, topic, context, and ID process." "Situating the complexity of instructional design in cases is critically important in helping future instructional designers construct usable knowledge. The fifth edition of this seminal resource expands the cases to cover the kinds of complex content needed to design for professional and higher education settings as well as deal with complicated and timely social issues." "I love using the authentic situations presented in The ID CaseBook with my students. It gives them the opportunity to wrestle with problems instructional designers face in practice, making everything more concrete and real." "The purpose and pedagogy of this text follow the case method, indicative of Harvard Business School. The details of the cases and the analyses suggested by the end-of-chapter questions provide a structure for guiding learning goals. Moreover, the variety of topics, contexts, and scope of the cases offers authenticity to instructional systems design for both novice designers, who may have little practical experience applying ISD, and experienced designers, who may benefit from analyses across varying contexts. This text is a valuable resource for introductory and advanced courses." Peggy A. Ertmer is Professor Emerita of Learning Design and Technology in the College of Education at Purdue University, USA. James A. Quinn is Associate Professor in the Department of Organizational Leadership at Oakland University, USA. Krista D. Glazewski is Associate Professor and Chair of the Department of Instructional Systems Technology in the School of Education at Indiana University Bloomington, USA.